The vivid history and landscapes of Middle-Earth mean that, despite a turbulent recent past, it remains one of the most in-demand destinations for both holidaymakers and house buyers. Here’s a guide to some of the most interesting properties currently on the market. 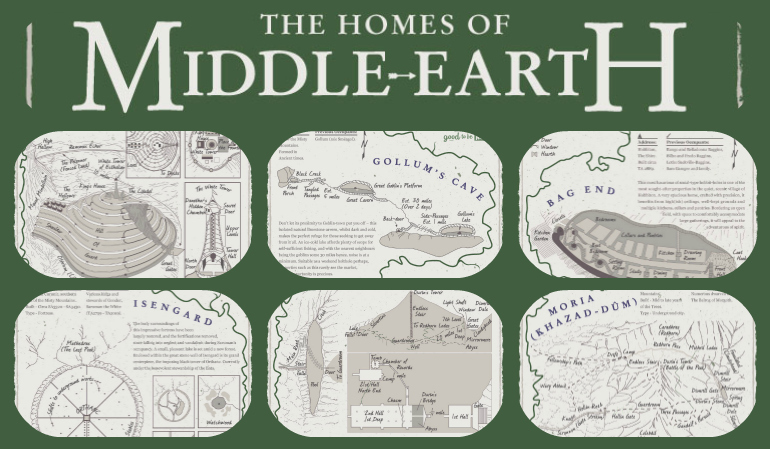 The Homes of Middle Earth Infographic has a wide range of properties, from rural Hobbiton to the dizzying heights of the white city. We’ve tried to get a sample of the best and the most up-and-coming areas around Middle Earth, but if you’re interested in other areas, just let us know. Likewise if there’s any more information you would like on these properties, we’ll do our best to help. disclaimer Please read the descriptions of these properties fully, as not all may be suitable for your species. Fonstad, K W (1991), The Atlas of Middle-Earth [revised edition], houghton Mifflin Company.